Bruce has been a Board Member since 2009 and currently serves on the CEO Evaluation and Compensation Committee. He also served on the Policy and Governance, Nominating and Volunteer Development Program Committees. 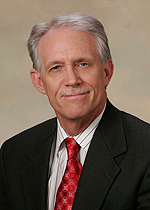 Bruce is the President/CEO of Geo-San, Inc., headquartered in Hampton, Virginia. 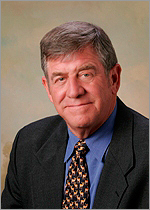 Ted was elected to the Board in 2014 and is a long-time member of the Credit Union. He currently serves on the Policy and Governance Committee. Ted earned the designations as Certified Credit Union Director in June 2015 and Certified Credit Union Volunteer in May 2018. He is a registered professional engineer and the General Manager for the Hampton Roads Sanitation District. 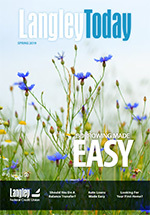 Gene began his service at Langley serving on the Supervisory Committee from for 1994 to 2007. He served as Board Chairman from 2012-2015 and has been a Board Member since 2008. Gene currently serves as Chairman of the Policy and Governance Committee and on the Nominating Committee. He serves as a Financial Management Specialist within the Office of the Chief Financial Officer at NASA Langley Research Center. Audrey was elected to the Board in 2018 after serving as a Volunteer Candidate. She currently serves on the Nominating Committee. Audrey is the Vice President of Sentara Heart Hospital in Norfolk. Peter A. Morley, CMSgt. USAF-Ret. 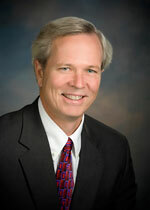 Pete served as Board Chairman from 1998-2002 and has been a Board Member since 1989. He currently serves as a 401(K) Plan Trustee and is Chairman of the CEO Evaluation and Compensation Committee. Pete retired from the Air Force after 30 years of service and the City of Hampton Public Works with over 20 years. Lester is the Immediate Past Board Chairman. 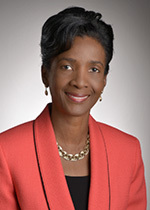 Lester has been a Board Member since 2009 and currently serves as a 401(K) Plan Trustee and on the CEO Evaluation and Compensation and Policy and Governance Committees. Lester earned his Certified Credit Union Director designation in June 2016. He brings over 30 years of experience in the criminal justice field. He currently serves as Evidence Based Practice Specialist, Strategic Planner and Coach for the Commonwealth of Virginia. 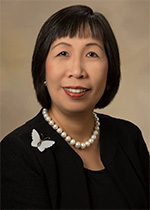 Nhu was elected to the Board in 2017 and currently serves as Chairman of the Nominating Committee. Nhu earned her Certified Credit Union Volunteer designation in May 2018. She has worked for over 25 years at YLS Inc., a full service landscape contractor serving the Southeastern Virginia area.